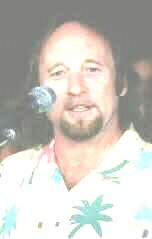 The Stephen Stills Children's Music Project: One of Stephen's charities. Ernie Osborne's Stills Photo's: Wonderful photography! Stephen Stills Golf Story: Read about one of Stephen's many hobbies, playing golf. Stephen Leaves Handprints on Rockwalk: Check out when Stephen was inducted into the "Rockwalk"
Chris Stills: The official Chris Stills Site. Martin Guitar, Co.: Learn about one of Stephen's favorite kinds of guitar, and his signature series the SS D-45. Suite Lorraine.com: And excellent CSNY Site, with great graphics, and articles... Not to mention a good Stephen section. CSNY.net: Crosby Stills Nash and Young's official site. NEW! 4 Way Site: Stijg's site dedicated to CSNY, with downloads, desktops, sounds, plus more. VERY impressive site! Hans' CSN Site: Another official site, maintained by Hans, and Stephen Barncard. CrosbyStillsNash.com: Links to other CSN pages, as well as booking info. Neil Young.com: Neil's official site. New CSNY books! : Find out info about two new books of CSNY which will be available in the year 2001, a project by Francesco Lucarelli, Stefano Frollano, Herman Verbeke, and Lucien Van Diggelen. Make sure you check out this site. The Hunger Site: From this site you can donate food for free to the hungry people in the world. Care2.com: A web based charity to help Animals and the environment through e-cards. Don J. Nic: A close friend of mine, and a member of the CSNY List "the Lee-Shore" and the Stephen Stills discussion list, his page has kewl music links. And a very interesting tape trade page. Nickel Creek: Check out this link to find out more information about this incredible Contemporary Bluegrass group. Active Worlds: A kewl 3d virtual reality program. You won't believe it when you see it! Corbis.com: Find tons of images of Stephen, and other subjects. Henry Diltz: An awesome page with photography by an awesome photographer! NEW! Dos Hoss: Check out her Peter & Gordon Homepage!